Five Things Friday: Bullet Journal Inspiration | Keeps Me Out Of Mischief! Last week I shared inspiration in the form of pre-printed planners. This week I’m back to my favourite subject of bullet journals (not that I’m obsessed or anything!). I’ve only been using a bullet journal since the beginning of November but it’s changed my life. I’m so much more productive and less likely to forget things. Here’s some of the people who I’ve found most inspiring in my quest to create the perfect planning routine to keep me out of mischief! 1. This was the first Bullet Journal post that I ever read. It was like the clouds had lifted and planning all suddenly made sense to me! Kim @tinyrayofsunshine has so many great ideas and she shares them on her blog and her instagram feed. 2. Kara at Boho Berry share layouts that are beautiful. How I wish my writing could look so neat and my drawings be so awesome! 3. Kacheri at Passion Themed life shares her planning journey and hosts the doodling challenge shown above each month. I’m going to be brave and join in during January! 4. Jessica at Pretty Prints and Paper has inspiring lettering to add colour and pop to your journal pages. 5. 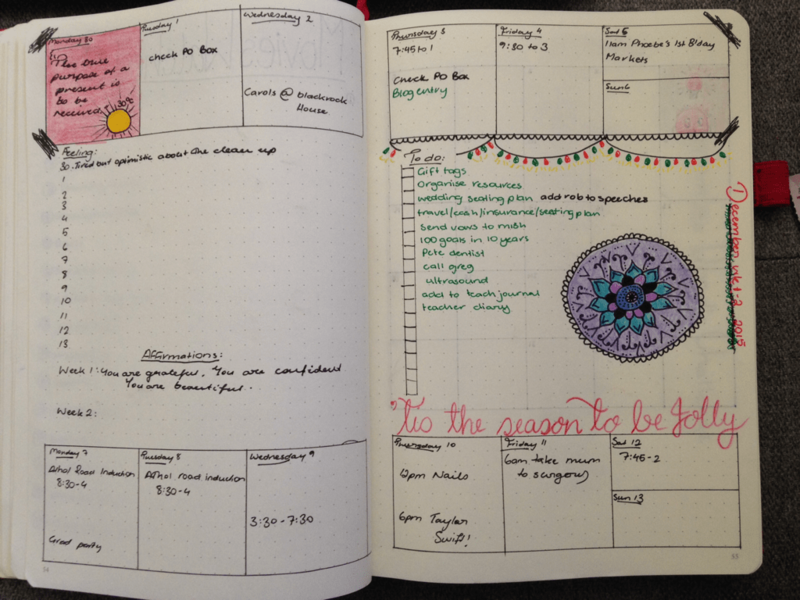 @em_plans is a relatively recent convert to bullet journalling like myself. I like the little illustrations she adds to each page. Pingback: My Blog Bullet Journal | Keeps Me Out Of Mischief!